The most important bodily processes that help us look and feel healthy, begin at the cellular level. When our cells are dehydrated, stressed, and malnourished, we get sick, tired, and overweight. In addition, fat cells will not shrink and release fatty acids unless the proper conditions exist in the body to generate this response. Proper hydration and nutritional supplementation are crucial in creating the ideal environment for the body to begin mobilizing fat. As your cells function more efficiently and fat cells shrink, you will enjoy an overall leaner appearance and feel more vibrant. Weight loss should be a byproduct of a balanced body from proper nutritional supplementation and a healthy lifestyle (good eating habits, exercise, proper sleep, etc.). We’ve found that most people live unhealthy lifestyles, and it is hard to break those unhealthy habits learned over time. Obtaining the body we desire requires us to make some fundamental physical and behavioral changes. The behavioral changes happen by replacing old habits with new ones. Many of the physical changes will need to take place at a cellular level. Through years of research, testing, and customer feedback, we’ve designed a simple, 3-step plan to help kickstart these behavioral and physical changes, which will help you reach your ideal body weight and stay there! 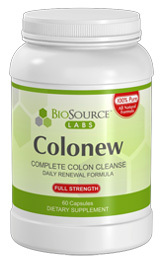 Colonew is an all-natural colon cleansing formula that helps remove toxic buildup in the colon. Removing old colon cells and other harmful buildup helps promote the growth of new cells and improves function of existing cells. Helps improve absorption of water in the intestine. Provides for better absorption of nutrients from food and supplements. Improves digestion and intestinal balance. Suggested Use: Take 1 capsule, twice daily. Take each pill with a full glass of water, preferably 30 minutes before food. Should be used for 7 to 10 days before starting HCG Complex. Step 2 – Condense Body Fat – Shrink Your Fat Cells! Complex Diet Drops is a carefully formulated proprietary blend professional grade ingredients. When combined together and used in conjunction with the diet protocol, these ingredients help your body naturally unlock stubborn stored fat to quickly and effectively shrink your body’s fat cells. Quickly burn unwanted fat and shrink enlarged fat cells. Supports normal, healthy cell function. Helps you retain lean muscle mass while dieting. Suggested Use: Take 10 drops 3 times per day, 30 minutes before meals. Hold drops under the tongue for 30 seconds, then swallow. Most weight loss products on the market today are full of great promises, but contain junk ingredients and empty results. The most frustrating thing for dieters is investing hard-earned money and valuable time into a diet, believing their lives are about to change, only to have their hopes crushed as they don’t see any results. Regardless, many people repeat this discouraging cycle time after time, often ending up in a worse spot with than when they started. The Complex Diet Drops protocol is a diet program that truly works! Step 3 – Control Hunger, Weight, and Health. Revitalize Your Body’s Cells. 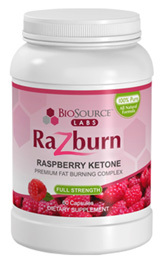 Razburn is designed for use during and after the diet. Use during the diet will help curb hunger, provide extra energy, and protect healthy cell function. The real benefit of Razburn comes when used during the maintenance phase. It will help you to stabilize your weight loss and solidify lasting dietary changes by naturally suppressing your appetite, helping maintain a higher metabolic rate, and minimizing oxidative stress on healthy cells. Protects cells from oxidative stress. Suggested Use: Take one capsule, twice daily. For use during Complex Diet Drops diet for hunger and energy. Best used during the maintenance phase for continued weight loss support and cell protection.